The Arbitrator is unusual in that despite being billed as an electronic warfare ship, it was also for a long time considered the premier Amarr combat cruiser for solo PVP. While the substantially buffed Maller and Omen now give Amarr pilots a range of viable options to choose from, the Arbitrator has become no less powerful in that time - it remains both a strong electronic warfare platform and a highly effective combat ship in its own right. The bulk of the Arbitrator's firepower comes from drones, making it a natural analogue of the Gallente Vexor. The similarities are actually fairly striking - not only does it offer the same 10% per level bonus to drone damage and hitpoints, the Arbitrator even shares its counterpart's slot layout - 4/4/5. If you're hoping for a damage dealing platform on the same level as the Vexor however, I'm afraid you'll be disappointed; the Arbitrator only gets two turret and two launcher hardpoints, with bonuses to neither. It also receives less drone bandwidth than its Gallente cousin at 50mbit/s, however it does get a slightly larger 150m3 drone bay in return - a common pattern among Amarr drone ships. With a flight of mediums you're still looking at anywhere between 200 and 300dps from a standard fit, with the potential for more if the pilot sacrifices tank for extra drone damage amps. The Arbitrator's 7.5% per level bonus to tracking disruption can easily be overlooked, and you should do so at your own peril. On a fully skilled Arbitrator, a single tracking disruptor will afflict its unfortunate target with a 66% reduction in tracking speed or range, up from 48% on a non-bonused ship. While that's a powerful debuff in itself, the truly scary thing is what happens when you start to enhance it. * If the Arbitrator is rigged for TD strength, that reduction goes up to 72%. Add a Proteus with an Electronic Superiority info link, and we're looking at 88%. Let me put that in context - a single 88% tracking disruptor brings a sniping Naga down from 224km to just 28km. Pulse Oracle? Down from 58 to 7. Remember that this is just from a single disruptor, of which a fleet Arbitrator will generally carry three. The good news is that info links are fairly rare, because for some reason everyone thinks they're terrible. With that in mind, I'd appreciate it if we could just pretend this paragraph never happened, and continue as we were. Thanks. Thanks to its low slot allocation and reasonable fitting, the Arbitrator is typically the toughest of the four disruption cruisers. It's able to squeeze on a 1600mm plate and MWD without any powergrid mods, which gives it a buffer tank of anything between 30 and 50k EHP depending on hardener and rig choices (more than 35k really requires trimark rigs, which are common on solo fits but less so on fleet setups). 800mm plate (with optional rep) and dual rep variants are both possible too, however the 1600mm plate tends to be fairly standard, particularly for fleet work. With no bonus and little remaining powergrid, the Arbitrator's high slots are generally just used for utility modules - neuts for solo, and smartbombs or drone link augmentors for fleets. That leaves its mid slots as the main variable, with a fleet setup generally featuring three TDs, while solo variants will mix tackle with a single TD and potentially a cap booster for added utility. A solo Arbitrator may not be quite as scary as the Vexor, however it's still a relatively fearsome opponent. In particular, frigates and destroyers are likely to get chewed up quite badly unless they've got a substantial tank. Killing the Arbitrator's drones is generally a waste since it has so many, and turret ships are going to have problems hitting those drones anyway with a tracking disruptor on them. Most armour tanked combat cruisers should be capable to brawl an Arbitrator down thanks to their similar tanks and superior damage output, however with the exception of the Moa, most shield cruisers are likely to encounter problems taking one on at close range. If most of your damage output comes from turrets, I recommend keeping angular velocity to a minimum and ensuring that you're well inside your ideal range to counteract the potential effects of any tracking disruption. Like all drone ships, the Arbitrator is really quite dependent on character skills** - a newer player with T1 drones is likely to be far easier to take on than a more experienced pilot wielding T2. * Range-scripted tracking disruptors and sensor damps in particular become exponentially more powerful the closer they get to 100% strength. The difference between a 50% TD and a 60% TD is 20% of the target's remaining range. The difference between an 80% TD and a 90% TD on the other hand is half of their remaining range. That's like adding another un-bonused but max skilled TD, without stacking penalties, completely for free. 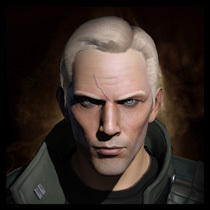 ** This is mainly due to the massive bonus given by the Drone Interfacing skill, as well as the significant step change between T1 and T2 drones and the fact that drone damage bonuses are always 10% instead of the usual 5%. The difference between an unskilled player with a warrior I and a perfectly skilled player with a warrior II is an incredible 400% increase, compared to a roughly 200% increase for turrets. *** This was proposed during the original changes to disruption cruisers, and while never implemented it's potentially still on the table. While I wouldn't say I'm dead set against it, tracking disruptors are already both annoyingly common and incredibly powerful, and I'd be very cautious about making them more so. For a long time, sensor dampening was almost ignored compared to its more lauded counterparts in tracking disruption and ECM. Recently it has seem something of a surge in popularity - partly due to the buffs received by the Celestis and Maulus, but also in large part due to the introduction and accessibility of T1 logistics ships (aka Support Cruisers) which they counter so effectively. In fact, I'd actually argue that the Celestis is one of the more powerful ships in this class right now. This truth is only reinforced by the fact that it appears so much less threatening than the more fearsome (but much more easily de-fanged) Blackbird. 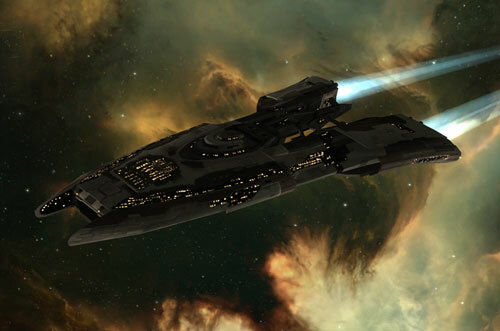 As with its Caldari counterpart, the Celestis is a dedicated EWAR platform without a great deal of combat utility (at least under normal circumstances). It offers a 7.5% per level bonus to sensor damp strength, as well as 10% per level to their optimal and falloff. To give you some numbers, that means 58% damps when fully skilled, 64% with two damp strength rigs, and 78% with an info link Proteus. That's a Blackbird down from 170km lock range to 37, or a Guardian taking 16 seconds to lock its counterpart instead of 3. Thanks to its range bonus, the Celestis also has very impressive reach - 81+135km when fully skilled. Its targeting range is only 94km (103km while in gang), although that can be pushed up to 170km (186km) with a couple of range rigs. That happens to make the Celestis an excellent counter to Blackbirds (187km lock range in gang if fitting a sensor booster), as well as just about anything else which operates within that range bracket. This is particularly true since unlike ECM, the Celestis' damps are absolute - once you're damped out at that range, you're not getting a lock again unless you move closer or the Celestis pilot moves the damps on to someone else. A 3/5/5 slot layout gives the Celestis plenty of tank, with a 1600mm plate fitting nicely for a comfortable 30-35k EHP without armour rigs. It also leaves room for four damps, allowing the Celestis to spread some pain across multiple targets with ease. A common tactic is to land dual damps on two targets at once, enough to cripple the targeting of most ships without encountering significant stacking penalties. If you really don't like someone, there's always the option of throwing two range damps and two scan res damps on the same target! While the Celestis does get turret and launcher hardpoints, it's generally short on powergrid after fitting a plate and those high slots are usually set aside for utility mods such as smartbombs or drone link augmentors. 50m3 of drone bay and bandwidth adds a nice bit a flexibility, enabling the Celestis pilot to either contribute a small amount of damage to the fight (about 150dps with five mediums), or simply to ward off tacklers. Perhaps the most powerful option however is to carry a flight of ECM drones, which synergize brilliantly with your damps - every time your drones break a lock, a quick round of scan res dampening will significantly increase the time it takes your target to re-establish it. Like the Bellicose, the Celestis sees some use solo as an anti-frigate platform. It doesn't put out quite as much damage as its more warlike cousin, however with a flight of light drones and a few small blasters it's capable of a little over 200dps. Combine that with a strong tank (just shy of 40k EHP) and plenty of mid slots for webbing, and you're on to a winner! If you suspect a solo Celestis might be trying to bait you in this fashion, I recommend using the 'look at' function to check for guns. It's not a sure sign (some damping setups do fit them, and some solo variants use neuts instead) but it's a helpful indication nonetheless. In fleet, the Celestis is an effective tool to combat logistics ships. Targeting range dampening in particular is incredibly powerful, able to cut a primary target off from receiving remote reps unless the logi are right in the fray. In fact, the rise in popularity of damps as an EWAR type has been almost directly responsible for the decline in kiting logistics ships such as Scythes and Scimitars, which not that long ago were a staple of many roaming gangs. To counter the Celestis, keep your logistics close to friendly ships (ideally within about 12km, which is where two fully skilled but un-linked damps will put your typical logistics lock range). Even more importantly, keep your logistics close to each other to avoid broken cap chains or leaving a logi without friendly reps. It's not just the Celestis itself you'll need to worry about either - be prepared to face neuting from hostile dps ships, since you'll be operating right in the thick of the fight with little room for manoeuvre. Scan res damping is easier to deal with, at least if you're flying in a small gang ('small' here being whatever your maximum number of locked targets is, plus yourself). By locking all fleet members in advance, your scan res should only be a problem if you lose a lock, either due to range dampening (you were staying on top of those friendly ships, weren't you?) or ECM. In general, the combination of scan res damps and cycling ECM is incredibly debilitating, and in that kind of situation you need to drive off or kill one of them as quickly as possible. If ECM drones are being fielded alongside damping ships, have someone clear them if possible - the saving grace of ECM drones is that they're notoriously fragile. In larger fleets, scan res dampening is going to cause you a significant problem - early broadcasts are essential for you to land reps on fleet members in time, particularly if your gang consists mainly of low-signature hulls like cruisers. Don't underestimate the Celestis, and do remove it early if you get the chance. The Blackbird is the prototypical Electronic Warfare cruiser - it was cool long before all of the others were cool, providing we define coolness in the traditional sense of 'something that young people like and old people complain about'. The effectiveness of ECM has been curbed substantially since its heyday, however it remains a powerful threat to friendly logistics as well as being the bane of solo players due to the way it scales (or to be more accurate, the way it doesn't scale). While less rage-inducing than its cloaky T2 variant the Falcon, the Blackbird's electronic warfare capabilities are equally potent if not more so, for reasons I'll discuss in a moment. In terms of raw jam strength, the Blackbird comes in weaker than the Falcon - 15% per level compared to the Falcon's 30%, and with one fewer mid slot giving it 4/6/3 overall. However, it also receives a 12.5% per level bonus to ECM jammer optimal and falloff. This allows the Blackbird to jam at ranges as long as 108+78km with the appropriate rigs and distortion amps, far in excess of its T2 counterpart. This additional range serves two functions - firstly it gives the Blackbird additional protection by allowing it to engage from that much further away, and secondly - arguably more importantly - it enables the Blackbird pilot to suppress hostile electronic warfare ships from a range at which they often cannot respond in kind. Of the four disruption cruisers, the Blackbird is by far the weakest in terms of raw combat ability. While other forms of electronic warfare only utilise mid slots, ECM ships also make use of signal distortion amplifiers - a low slot module which enhances both ECM strength and range. The result of this is that your typical Blackbird setup focuses almost every slot it has towards maximising its ECM capability. A single plate or shield extender is generally the only exception, along with an optional microwarpdrive. It's rare for a Blackbird to have more than around 14k EHP, and most have substantially less. Aside from its ECM, the offensive power of a Blackbird is basically nil. Most pilots decline to use the ship's unbonused turret and launcher hardpoints, since is has neither the fitting room to do so nor the engagement range that would be required to make small turrets or launchers relevant. Instead, Blackbird pilots usually opt for small smartbombs to clear drones or energy neuts as a last-ditch defence against tacklers, assuming they don't leave the slots empty entirely. Two light drones make up the Blackbird's only real firepower, but these are rarely used in a meaningful way - they're not enough to drive off anything but the most fragile of tacklers, and the range at which the Blackbird generally deploys means that launching drones towards the main fight is usually impractical. In any case, their damage output is relatively insignificant and I wouldn't consider them a major factor in anything. Unlike the other EWAR ships, the fragility of the Blackbird means that it's best deployed alone, at range from its gang. A good Blackbird pilot should have plenty of bookmarks around the gates in any system that they regularly fight in, and their primary form of defence comes from warping out when threatened - either to another bookmark, or to somewhere off grid before returning to the field. Because of that, it's often easier to drive off a hostile Blackbird than it is to actually kill one. Damps are a powerful counter if you have the range for it, but unless your damping ships are fitted for range they may well not. While the Blackbird should have no problem jamming out a lone tackler in order to escape, sending out a fast frigate can give you a warp-in for other ships. This can be an effective tactic, particularly if the tackler is subtle and positions so that backup can warp to them at range. Don't forget to drop combat probes if the Blackbird pilot commits the cardinal sin of engaging from outside 150km, assuming you have some with you. It's worth noting that in enclosed environments like Faction Warfare plexes, the survivability (and thus effectiveness) of the Blackbird is substantially reduced unless it's able to set up in advance, particularly given that it can't warp out and still return to the field safely. While the vast majority of Blackbird setups conform to the standard above, there are a couple of unusual variants which - while rare - are worth discussing. The first is the 'baitbird', which sacrifices the Blackbird's jamming abilities (often completely) in exchange for a much stronger tank. This plays off the fact that the typical Blackbird, with its impressive EWAR capability and negligible tank, is almost guaranteed to be primary if it's in range. By loading up those mid-slots with shield extenders and resist mods, the opposing fleet can effectively be lured into wasting their time shooting what is potentially the toughest ship on the field. Of course a bait-fitted Blackbird is essentially useless other than being really tough, so this is a tactic that can easily leave you looking pretty stupid if your opponent doesn't fall for it. The other interesting variant is the solo Blackbird. Much like the solo Griffin, this setup features its own tackle and high slot weaponry, the aim being to bait a target into scram/web range, tackle it, and then keep the jams rolling until that target has been destroyed. Trying to take on a lone Blackbird solo is always a slightly odd proposition anyway given that a competent pilot would simply jam you and leave, but given their fragility people do sometimes try it on the odd chance that the Blackbird pilot won't react quickly enough or might be afk. Solo Blackbirds are far from common, however they are a thing and it's worth bearing in mind if you see one hanging about by itself. Like the Arbitrator, the Bellicose serves both as an electronic warfare platform and as a more conventional combat ship carrying its race's secondary weapon system - in this case missiles. In fact given the relatively low damage output of its counterparts (particularly the Stabber) the Bellicose is actually a reasonably strong contender in the realm of Minmatar damage dealing cruisers. This is probably a good thing, given that target painting - the Bellicose's racial flavour of electronic warfare - is a fairly niche role. To put the Bellicose in context, it's sort of like a Caracal except with a target painting bonus in place of the Caracal's bonus to missile range. The Bellicose has one fewer launcher and loses the associated high slot (giving it 4/5/4 overall), however thanks to a larger 40m3 drone complement its damage output remains comparable. The Bellicose is slightly faster at around 2km/s on a typical fit, but performance in other areas is broadly similar. Much like the Arbitrator, the Bellicose comes in two flavours - a fleet EWAR platform, and a small gang combat ship with optional electronic warfare. Also like the Arbitrator, these two variants aren't really distinct so much as points on a spectrum - EWAR setups might lean more towards heavy missiles and speed mods while a more combat-oriented fit might opt for HAMs and pile on the ballistic controls, but broadly speaking the fits remain very similar except for a different mixture of mid slots. In either case, the Bellicose is rarely tough; a single large shield extender is the most common choice with an optional invulnerability field to back it up, putting your typical Bellicose somewhere in the region of 20k EHP. Its damage output is more appealing - a little over 400dps with faction HAMs and high damage drones, which is almost identical to the HAM Caracal. Range on HAM setups is a little low, out to 20km with faction or 30km with javelins. Heavy missile variants solve that problem with typical ranges of about 60km, in exchange for lower damage output in the region of 300-350dps. It's worth noting of course that about a third of this damage output still comes from drones, which will have significant travel time when fighting at that sort of range. While target painting is far less common than other forms of EWAR, the target painting capabilities of the Bellicose are nonetheless fairly strong. With its 7.5% per level bonus, a single painter from a fully skilled pilot will increase their target's signature radius by a little over 50%. With three painters - fairly typical for a fleet EWAR setup - you're looking at an increase of about 160%, or enough to give a cruiser the sig of a battleship. This is enough to substantially increase the damage output of an allied fleet, particularly when you've got larger ships shooting at low-sig targets like frigates or logistics ships. It's worth noting that the Bellicose wins the unfortunate title of 'shortest lock range on an EWAR cruiser', coming in at a mere 53km (58km while in gang) unless fitted with lock range rigs or some other substitute This prevents it from using the full reach of its target painters (45+90km when fully skilled), however given that you generally want to be in missile range of your target anyway this is rarely a problem. As one of the less threatening-looking cruisers, the Bellicose also sees a fairly large amount of use as an anti-frigate platform. With rapid light missiles and light drones, a properly fit Bellicose can chew through frigates with alarming speed, and shouldn't be underestimated by any means. That said, an anti-frigate Bellicose will generally under-perform against another cruiser, given its combination of light tank and relatively low raw damage output. The table below summarises some of the key stats side by side. These are based on the typical fits that I'm aware of at the time of writing, and do not necessarily represent the base stats of the ship.